Monarch Air Group provides private air charter in Kamloops, BC, Canada. Our clients benefit from top-notch service, unrelenting dedication to safety, wide selection of aircraft, and years of experience in chartering private jets. To obtain a free quote, please use our online quoting tool provided below, or call toll free 1-877-281-3051. Monarch Air Group provides private jet charter flights in and out of Kamloops, British Columbia, Canada. Situated in the centre of the Thompson Valley of British Columbia, at the confluence of the South and North Thompson Rivers, Kamloops is a city located 220 miles northeast of Vancouver, and has easy access to nearby towns and cities such as Ashcroft, Chase, Merritt, Cache Creek, Barriere, Salmon Arm, Logan Lake, Lytton, and Enderby. Kamloops is the seat of the Thompson-Nicola Regional District, and a main economic centre of British Columbia. Founded in 1812as a trading post, Kamloops prospered in 1860after the discovery of gold. Being the 3rd largest city in BC, Kamloops’ economy is mainly based on tourism, forestry industry, mining and ranching industries. The city boasts enchanting history, stunning landmarks, outdoor activities, unique festivals, cultural attractions, and various leisure activities. The most notable attractions are the Rocky Mountain Rangers Archives and Museum, the Kamloops Art Gallery, the Kamloops Museum and Archives, Sunmore Ginseng Spa and Factory, and many others. 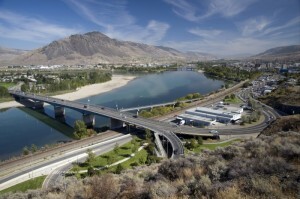 Nicknamed the “Tournament Capital of Canada” Kamloops is home to several world class cultural and sporting events, attracting people from around the world. Being one of the premier destinations for golfing and events in Canada it is home to 13 famous golf courses like the Kamloops Golf and Country Club, McArthur Island, the Sun Rivers Golf Course, the Eagle Point, the Dunes, and the Mount Paul Golf Course. Kamloops has relaxed atmosphere, four-season climate, and dynamic lifestyle and is served by Merritt Airport (YMB), Salmon Arm Airport (YSN) and Kamloops Airport (YKA).